The Skippers and Members of IMOCA met in Paris on Thursday 18 and Friday 19 April 2013 at the IMOCA Annual General Meeting to decide the future direction of their class, and in particular to discuss two major subjects: the design of the future boat and the programme for the years to come. The technical committee of the class has been working for two years reviewing the different possible architectural designs of the new boat, to comply with several constraints: to reduce the costs, to increase reliability and to allow the boats to stay competitive. The majority decision reached was an integrated solution, with a one-design mast and keel. The other elements of the boat must conform to the rules of stability, speed, length and construction materials. The boats will remain at 60 feet in length, with a bowsprit of 1.8 metres and the one-design keel must meet the specifications that were previously agreed, with particular note to the rule applying to a single piece of forged steel (Inox) for the keel blade. This new rule comes into immediate effect for all new boats while the current boats can continue to sail under the 2012 rules, or can decide to comply to the new regulations. Bruno Retailleau, President of the Vendee Globe, said he was satisfied with the new gauge prototype adopted on Friday by the IMOCA class. "It is a good decision, which goes in the direction desired by the Board of Directors of the Vendee Globe." "According to Bruno Retailleau, this new rule is open enough to keep the Vendee Globe spirit and its technological adventure. But at the same time, it sets limits to the use of new materials, which will reduce the boats costs and imposes strict rules on the most sensitive elements, such as keels and mats, to ensure more reliable boats." "This is a decision that preserves both the identity of the Vendee Globe and its ability to evolve." 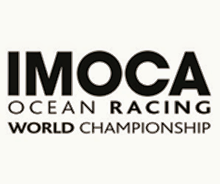 International ProgrammeThe team at OSM (Open Sports Management), responsible for the development and commercialisation of the international class, presented the Race Programme for 2013/2014 announcing plans to take the boats to the United States and Asia. To this end, the IMOCA World Championship will change its format, organised around two Series. One Series will be solo, the culmination of which will be the Vendée Globe and another will be two-handed, finishing with the Barcelona World Race.